This course is for automotive enthusiasts keen to jump-start their career in the motor vehicle industry. Throughout the year you’ll be trained to repair and replace light vehicle components, working on a range of different motor vehicles. Based primarily in our workshops, classroom time is kept to a minimum. Whilst working in small teams, you’ll learn about vehicle electronics, engine technologies, chassis dynamics and design. 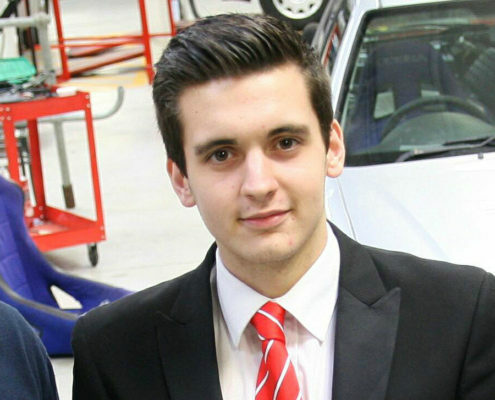 “I’m so grateful for the support and training I received at Reaseheath – my course magnified my passion for the motor trade. My tutors were fantastic and always made sure that my understanding and practical ability were of a high standard.